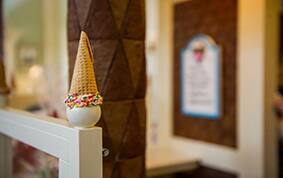 Many of you loved the amazing Frozen gingerbread castle I shared yesterday, so today I thought I would share a few more of the masterpieces that the Walt Disney World Resort pastry chefs have created this holiday season. These incredible creations have brought so much holiday cheer to my family and I hope it brings the same to yours! 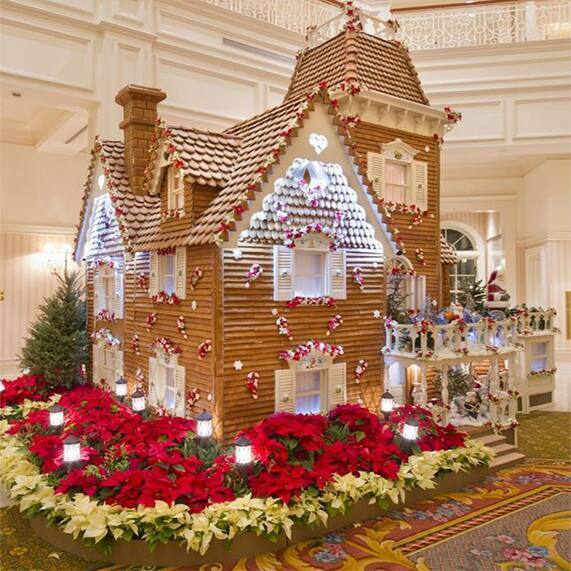 The life-size gingerbread house at Disney's Grand Floridian Resort & Spa is celebrating its 16th year of holiday fun. The pastry chefs use the same building plans to re-create a fresh masterpiece each year using a secret recipe from Austria. With an estimated 400 hours of baking, it stands 16 feet high and features 40 window panes made with a whopping 1,050 pounds of honey, 700 pounds of chocolate, 600 pounds of confectioner's sugar, 35 pounds of spices, 800 pounds of flour, 140 pints of egg whites and 180 pounds of apricot glaze. 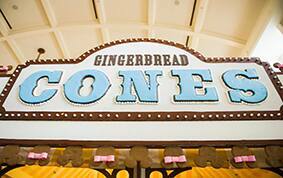 That combines to a total of more than 10,000 pieces of gingerbread! 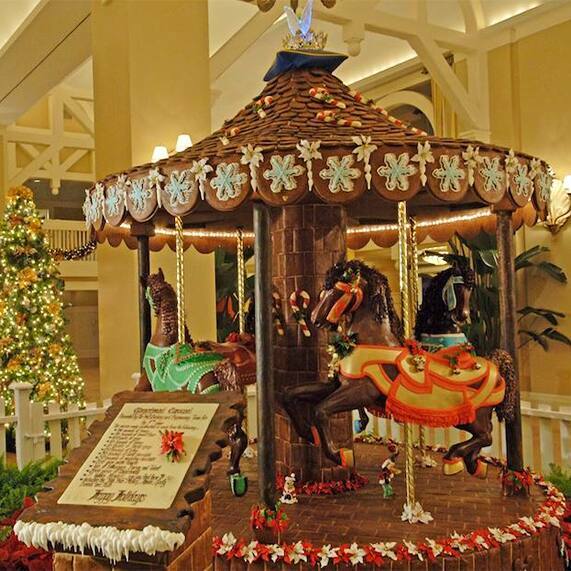 Disney's Beach Club Resort proudly displays its 14th annual Holiday Carousel, a life-size carousel complete with ponies made of chocolate and fondant, handcrafted poinsettias and gingerbread snowflakes with 14 hidden Mickeys- one for each year. 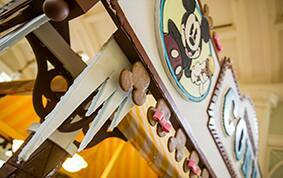 The chefs used 36 pounds of honey, 96 pounds of bread flour, 100 pounds of icing and 50 pounds of dark chocolate to create the extravaganza that also features a miniature Magic Kingdom Park Castle made of gingerbread. 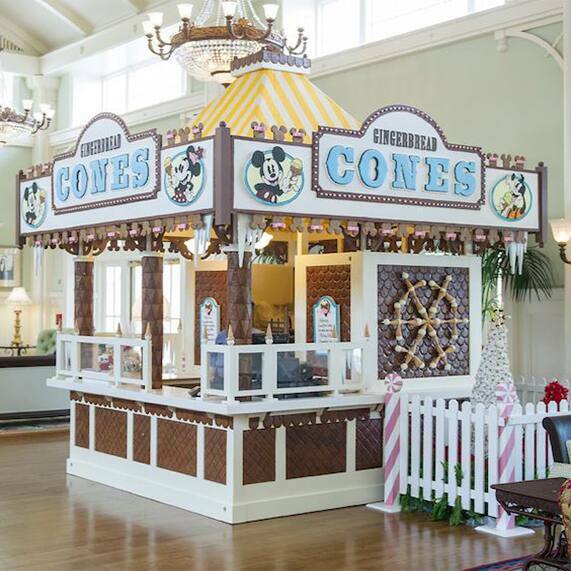 New this year is a life-size replica of a Jersey Shore Boardwalk concession stand serving holiday treats at Disney's BoardWalk Resort. Sweet wreaths and Mickey and Minnie shaped gingerbread decorate the stand that's made of over 674 gingerbread shingles and the marquee featuring 420 marshmallows. 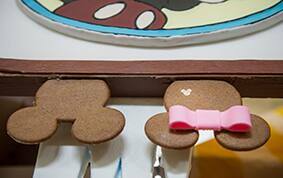 Who is ready to start building their own gingerbread creation?